Dr. Crandall is a board-certified ophthalmologist who specializes in medical, surgical and laser treatments for glaucoma and other conditions of the eye including cataracts and intraocular lens implants. He received his Master of Science degree and his Medical Degree from the Medical College of Virginia, Virginia Commonwealth University. He completed his internship at the University of Virginia Internal Medicine Program at Carillion Hospital in Roanoke, Virginia. After a residency in Ophthalmology at the Medical College of Georgia, where he served as Chief Resident, Dr. Crandall completed his glaucoma fellowship at Emory University Eye Center, in Atlanta, Georgia. Dr. Crandall is Board Certified by the American Academy of Ophthalmology and is a member of the American Glaucoma Society. After his fellowship training, Dr. Crandall served as an Assistant Professor at the University of Kentucky, Department of Ophthalmology, Glaucoma Section. 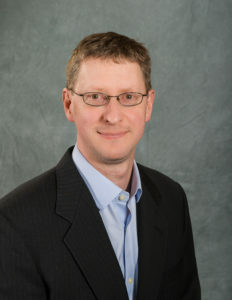 Dr. Crandall joined Asheville Eye Associates in 2008. He sees patients primarily in our Hendersonville office, and also at our 8 Medical Park Drive Office and the Asheville Veterans Administration Medical Center. 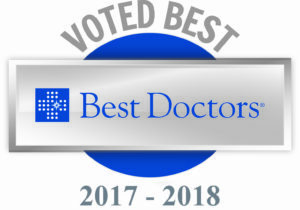 Dr. Crandall was named among the Best Doctors in America for 2017-2018 by Best Doctors, Inc., a survey of more than 45,000 doctors in America. Recognized by his peers as an outstanding expert in ophthalmology, Dr. Crandall is among only 5% of physicians in the U.S. selected for this prestigious honor. Dr. Crandall and his wife have two children, and enjoy spending time outdoors in the beautiful mountains of Western North Carolina. Dr. Crandall’s hobbies include fishing, hiking, skiing, and cooking.